A true story that encapsulates the horrors of war and the innocence of young love. Buried in a trunk for fifty years, this long-forgotten tale, told through letters and journals from the war-torn Vietnam era, has been resurrected. College students, Dennis and Greer, met and felt a spark just before moving to different states. Their witty correspondence through letters conjured a desire to meet again, but Dennis tried to keep his distance; duty is more important than love. As the two embarked on their journey into adulthood and navigated their relationship against the backdrop of war, they were writing a love story that will span the test of time. ASU graduate, Molly Gould, lived in the wilderness for 28 days when she was 16 years old (she’s your go-to-girl in the zombie apocalypse). She now confines herself indoors with the AC full-blast in her sunny sate of AZ. Occasionally, she’ll brave the scorching heat with her husband and four children. When Molly inherited a treasure of vintage journals and letters, she was swept away by the love story contained within those writings. 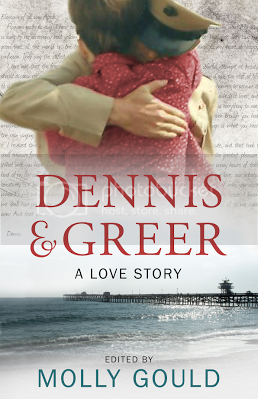 She couldn’t keep Dennis and Greer to herself, so she began transcribing and Dennis and Greer was born. Check out Elizabeth McKenna's latest release! FIRST CRUSH, LAST LOVE will have you remembering the angst of high school, the grief of a failed relationship, and the happiness of true love.